Weather Change; What Weather Change? The corporate-owned media has all but ignored the Louisiana flood disaster. 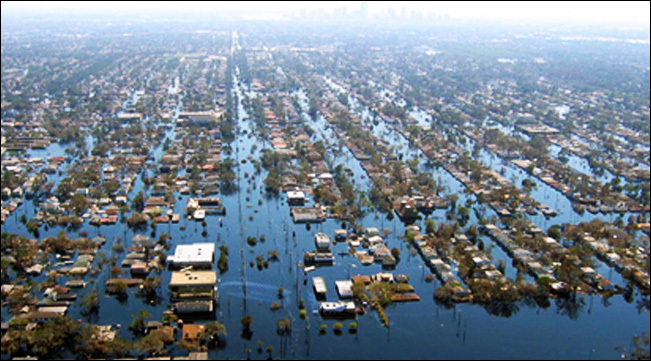 Most people in the United States probably know little or nothing about it, but the destruction from the sudden dumping of two feet of rain in less than three days can be compared with Hurricanes Katrina and Sandy, except it has no name and did not involve a massive whirling storm with a name. Another disaster story you may not know much about . 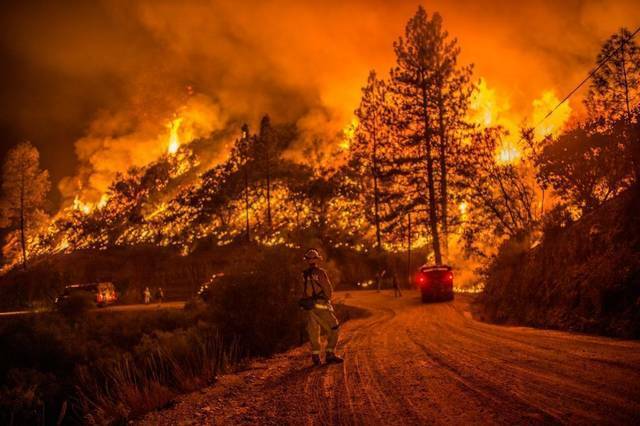 . . most of the State of California is burning. The extreme drought has set up the state for an ongoing flaming disaster that is burning thousands of acres, destroying entire communities and leaving thousands of people homeless and destitute. The biggest fire on this date (Aug. 18, 2016) is sweeping Cajon Pass. Called the Blue Cut Fire, it has forced the evacuation of 82,000 people, and has already engulfed 15,000 acres. Over 10,000 firefighters are currently battling eight different wildfires in the state.The smoke in the air is so thick that people all over California are seeking treatment for lung and health problems from the toxic atmosphere. Health officials are advising people, especially the sick and elderly, to remain indoors and wear face masks if possible. In Louisiana the City of Baton Rouge was “utterly devastated” one report stated. Whole neighborhoods were washed away. Tens of thousands of people have been left homeless. Major highways and roads are left destroyed. Ninety percent of the homes in adjoining Denham Springs have been destroyed by flooding. Reports from many other communities are yet to be learned. Authorities said such flooding is unprecedented in the area. An estimated 20,000 residents of Louisiana have lost their homes. About 10,000 are taking refuge in makeshift shelters. While the rain has stopped, the rivers and streams are still rising from all of the runoff and the flooding is getting worse. So what are you seeing on your nightly news this week? Its all about Trump, Michael Phelps and the Olympics, a few more shoot-outs with police, and the stock market. We don’t want to forget about the stock market, something that affects only the one percent that gambles away their billions.